Resources Made Available by Bharati Acharya, Mental Health Professional, MA, LPCC, Diplomat in Narrative Therapy, Minneapolis. Thank you for spreading the word about Beyond the Boxes II! For many of us who are LGBTQ+ mental health providers, these weeks since "Orlando" have been intensely emotionally and psychologically draining - on both a personal and professional level. We have been raw with our own pain, PTSD, shock and grief from the tragic events of Sunday, June 12, 2016; only exacerbated by the ongoing subsequent political, religious, familial, and social macro- and micro-aggressions that unsurprisingly followed. "Orlando" epitomizes the day-in and day-out personal and collective violence, rejection, discrimination, invisibility, and injustices caused by homo-hatred, heterosexism, racism, xenophobia, bi-erasure, and transphobia that we in the queer and queer POC communities face each day. We, as LGBTQ+ people, consistently confront these root causes of our collective and personal "Oppression Fatigue." "Orlando" maximized them to our core. And yet, as therapists, we still showed up each day since (as best as we could) and have done our work of listening empathetically to the PTSD, grief, fear and anger of our LGBTQ+ clients; and equally attended to the therapeutic needs of our non-queer clients - who may or may not have even mentioned "Orlando." This parallel process, clinical hour after clinical hour, can naturally take a toll on us. This toll often results in vicarious trauma. Unattended vicarious trauma of caregivers can develop into "Compassion Fatigue." Compassion fatigue, (emotional exhaustion and an isolative emptiness of empathy), is already a common "hazard" of our job as mental health providers. It is exponentially more likely and more harmful when it is exacerbated by a trauma that strikes deeply in our own lives and in the communities of our chosen family. We must not be in denial about how Orlando may be impacting us personally and professionally. We need to consciously assess our emotional, spiritual and physical well-being. We must accept our own limitations, take more breaks, and make healthy choices that honor our needs and feelings. We need to connect with our trusted colleagues, our own therapists or guides, so that we can stay ahead of our own vicarious trauma and compassion fatigue. We must seek professional consultation about any client counter-transference issues or feelings of burn-out. We need to request and accept support and care from our friends and loved ones. I will go a step further and insist that we come out of the clinical boxes we call our offices and take a stand. Despite the fact that many of us therapists are introverts, I suggest that, in whatever way we can, we extend our time, money, vote, voice or effort towards any action that puts a dent in our own oppression and the oppression of our clients. LGBT Therapists hopes you can help increase awareness and participation for the 2015 U.S. Trans Survey produced by the National Center for Transgender Equality. The 2015 U.S. Trans Survey (USTS) is the follow up to the National Transgender Discrimination Survey, the largest survey ever devoted to the lives and experiences of trans people. The study was developed and conducted by the National LGBTQ Task Force and the National Center for Transgender Equality in 2008- 2009, and the results were released in the 2011 report: Injustice At Every Turn. As the single-most cited study about trans people—cited by media over 15,000 times—it has dramatically changed how the public and policymakers understand the challenges facing trans people. Thanks for helping out with this important matter! EHRs: Can we change the mandate? We wanted to share an important, time-sensitive, comprehensive article by Stephen Huey, PhD, LP, entitled EHRs: Choice vs. Mandate which includes a recommended course of action on the the last page. To Whom Does the Mandate Apply? Are EHRs Crucial to Providing Clients with the Best Possible Treatment? of color and 75% transgender youth, the majority from the Twin Cities metro area. Now in our 5th year, RECLAIM is growing in response to the need in the communities we serve. Read more at www.reclaim-lgbtyouth.org. We are seeking a full time Mental Health Therapist who is passionate about the mission and values of RECLAIM. We are building a community of emerging and experienced practitioners who apply post-modern principles to their practice. We engage clients in holistic healing that addresses as many areas of need as possible. We specialize in supporting youth around sexual orientation and gender identity while recognizing all aspects of identity reclamation. 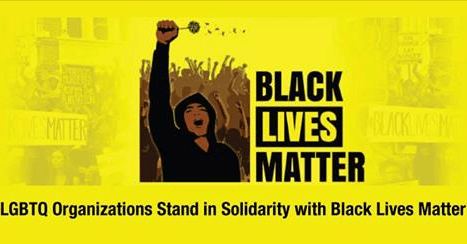 RECLAIM is committed to recruiting candidates with lived experience in communities of color and/or Trans communities. This position is located in Minneapolis, MN. Salary to be determined, dependent upon experience. 37.5 hour work week, generous PTO, benefits eligible. Position open until filled. Interviews will begin the week of October 13, 2014. Comply with grant requirements and reporting. Represent RECLAIM in the community through formal and informal relationships. Possess a minimum of 5 years post-license experience with individual, family and group counseling. Experience and/or training in working from a post-modern perspective. More than 330,000 Minnesotans have enrolled in quality, affordable health insurance through MNsure. The number of uninsured Minnesotans fell by over 40 percent this year. However, there are still many people who don’t understand the benefits or insurance options they would have if they signed up through MNsure. This includes a large number of people living with mental illnesses and substance use disorders. NAMI Minnesota has received a new MNsure grant to provide outreach and assistance to people living with mental illnesses and substance use disorders. 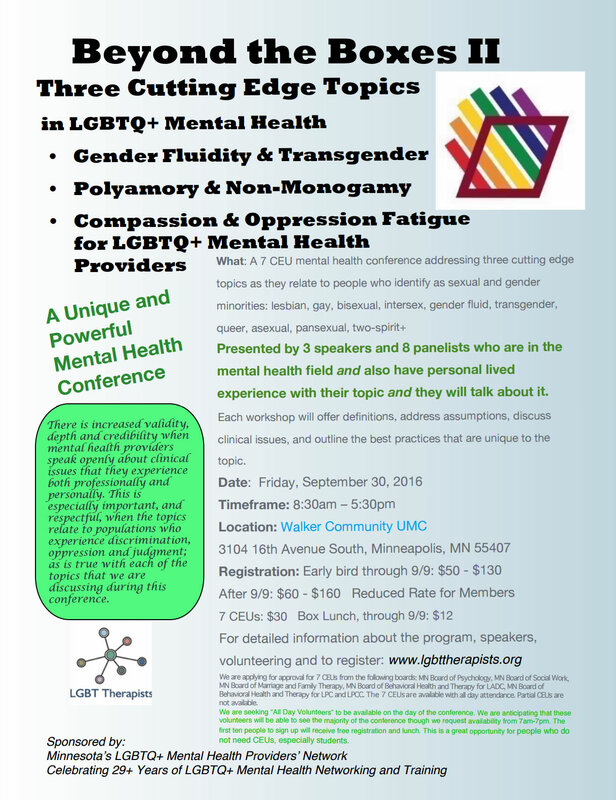 NAMI Minnesota is partnering with its affiliates and several community mental health agencies across the state to ensure statewide outreach, and will be giving presentations in local communities. The partnering community mental health centers include Canvas Health, Central Minnesota Mental Health Center, Greater Minnesota Family Services, Lakeland Mental Health Center, Northern Pines Mental Health Center, Range Mental Health Center, Resource-Spectrum Mental Health, South Central Human Relations Center, Southwestern Mental Health Center, and Touchstone Mental Health. NAMI Minnesota is also partnering on this grant with its affiliates across the state, as well as Minnesota Association for Children’s Mental Health, Mental Health Association of Minnesota, and Dakota County. So why should people enroll in a health insurance plan through MNsure? MNsure offers multiple health plans from insurance companies all in one easy-to-shop location. Insurance through MNsure is very affordable, and tax credits and cost-sharing reductions are available for those who don’t qualify for public health insurance through Medical Assistance or MinnesotaCare. MNsure is the only place where an individual or family can obtain these tax credits to help pay for insurance premiums. An individual earning up to $45,000 per year or a family of four earning up to $94,000 will most likely qualify for a tax credit. There are also benefits to people with mental illnesses and substance use disorders. All plans under MNsure must cover mental health and substance use disorder treatment, and must follow mental health parity laws. There are no exclusions or waiting periods for individuals with pre-existing health conditions. Medical Assistance expanded. People can be eligible for Medical Assistance based on income, not just based on having a disability. MinnesotaCare no longer has waiting periods or a $10,000 cap on inpatient hospital services. People who are on Medicare or SSI are allowed to have supplemental insurance (Medical Assistance, or a private health insurance plan). Though they would not sign up through the MNsure website, they are still eligible for supplemental insurance through their counties. Open Enrollment is from November 15th to February 15th. However, individuals may apply and be eligible for Medical Assistance and MinnesotaCare at any time throughout the year. NAMI Minnesota and its partner agencies have navigators who can help you or your loved one sign up through MNsure, or assist you with supplemental insurance if you are on Medicare or SSI. To sign up or if you have questions, please contact NAMI Minnesota’s MNsure Project Coordinator, Dara Larson, at dlarson@namimn.org. Member Deb Hennen-Bergman, M.A., LMFT of Inner Peace Therapy & Yoga wrote this article on integrating yoga/meditation in treating and preventing mental health conditions, including anxiety and depression. Expanding Current Views of Anxiety and Depression to Include Eastern Contemplative Approaches of Yoga and Meditation: Why integration makes clinical sense. Traditional Western psychotherapies have proven beneficial to many clients, and these approaches have provided much relief and ease to those suffering from anxiety and depression. However, these traditional models can also be somewhat limiting and pathological in nature. In a search to provide holistic and effective approaches in treating anxiety and depression, and also a model that is inclusive of health and well-being, my path led me to Eastern Contemplative Approaches of yoga and meditation. Eastern philosophy broadens our current definitions and treatments of anxiety and depression and also contains a framework for health and healing. In fact, neuroscience is now proving the ancient healing practices of yoga and meditation actually change the structure of our brain in positive ways and not only treat anxiety and depression, but also prevent these common mental health conditions. This article explores and expands definitions and treatment of anxiety and depression from a holistic Eastern perspective. Most of our training and education as therapists has been limited to traditional Western Approaches of assessing pathology and treating clients’ symptoms. According to Western psychology, we define Anxiety and Depression through a medical model of diagnosing mental health disorders based on symptoms. Also, in this approach we view the body and brain as separate parts, and the body is often ignored. Also, according to this model, symptoms are the focus of treatment, and a “healthy individual” is considered symptom free. Eastern philosophy expands our current view of anxiety and depression and offers a holistic approach to describing them. According to Eastern Approaches, these two common mental health conditions involve multiple facets including physical, mental, emotional, social and spiritual. This approach says if we engage in thoughts, words, or actions that create imbalances or disharmony in our mental, physical or emotional body, we will experience symptoms of anxiety or depression (if we are vulnerable to them). Further, we will experience a disruption in the health functioning of our physiology overtime if these imbalances go unaddressed. Also, this framework expands the definition of “out of balance” as any of us who are not living up to our potential or who are not living fully. In addition, Eastern philosophy explains that anything that blocks or depletes our life-energy or prevents us from living up to our potential can also be a source of anxiety or depression. Eastern philosophy views health on a continuum, in which we all fall somewhere. A “healthy individual” in this framework is defined as an individual who is living an abundant, fulfilling life on all levels-physical, energetic, emotional, mental, and spiritual. Eastern Approaches assumes we are whole; we all have imbalances; and healing is internal. Also, it says anxiety and depression are influenced by genes, life situations, and the state of an individual’s general health. Therefore, treating anxiety and depression involves the whole physiology rather than just treating the brain, and treatment focuses on holistically exploring the causes of anxiety and depression in an effort to reduce symptoms. In addition, treatment includes opening blockages of life-energy (prana) that create the physiological imbalances which lead to anxiety and depression. In this framework Treatment/Healing Plans are based on the unique needs of the individual and include the brain, body and spirit. According to Eastern philosophy, several practices may be used to unleash our internal healing potential: First, we understand we are whole and have an innate ability to heal ourselves (mind, body, spirit approach); second, we learn to identify own unique manifestations of anxiety and depression (our imbalances); and last, we use principles of yoga as a guide to reduce symptoms of anxiety and depression, relieve stress, boost physical, mental, emotional, and spiritual energy, and expand awareness through meditation as a path for healing. Yoga is increasingly being used alone or as an adjunct to other therapies as a treatment method for various mental health conditions, including anxiety and depression. In addition, empirical research is gaining in popularity, and preliminary findings indicate yoga and meditation (mindfulness) can be effective therapeutic tools in the prevention and treatment of anxiety and depression. Based on current research, yoga has been shown to prevent mental health issues and promote overall health and wellbeing due to its physiological, psychological, ad biochemical benefits. The physical practice (Yoga Asana) offers us many benefits, and its healing methods involve the body, mind, and spirit: First, yoga asana balances the nervous system and affects the neuropathways toward calm as well as turns of fight/flight response; second, it regulates the breath, and breathing fully has been shown to deeply calm the nervous system and quiet the mind; third, yoga helps to cultivate direct experience, which is the central focus of yoga. We learn to cultivate emotional balance by being centered in the body and develop friendliness to what’s happening in the moment; forth, it quiets the mind. By staying anchored in the body, we learn to soothe and comfort ourselves without getting lost; last, yoga helps us change personal narratives. It allows us to directly and deeply experience our stories from a new perspective. It also helps us observe stories from intense emotional reactions and negative thought patterns while we are in a state of deep relaxation. It is an exciting time to be involved in the field of mental health. Our current understanding and approaches to therapy continue to broaden and expand as a result of a growing body of empirical evidence showing ancient healing practices of yoga and meditation are not only effective in treating anxiety and depression, but they also prevent these mental health conditions. In addition, not only does Eastern philosophy expand our definition and treatment of anxiety and depression, it’s inclusive to the mind, body and spirit and offer us a framework for overall health and well-being. In addition, current findings in neuroscience research show Eastern contemplative practices are effective in training the brain towards ease, contentment, kindness, and compassion. Given the many powerful health benefits of yoga and meditation, it seems reasonable to believe they hold clinical significance and offer deep healing to you and your clients. Therapists, social workers and organizations across California have been working hard to ban sexual conversion therapy for minors by supporting California Senate Bill 1172. Supporters of this bill include the American Association of Marriage and Family Therapy of California, the National Association of Social Workers of California, the Trevor Project, the California National Organization of Women, the National Center for Lesbian Rights, Equality California and many others. We need to let the politicians know we need their support for this bill. Please sign this petition and forward it to your network. We want your support even if you are not a California voter. Continue spreading this petition throughout August 2012 for more people to sign.